We believe your home phone ringing shouldn’t bring a moment of dread anticipating an unwanted sales call, so it’s no surprise to us that blacklisting is Ooma’s most popular Premier feature. As you may know, our Personal Blacklist lets you create your own list of numbers to block, while Community Blacklist blocks tens of thousands of telemarketers reported by other Ooma users. Together, these blacklists are blocking over 1 million calls per month for Premier users! But we’re not stopping there! Today we’re bringing you our Expanded Blacklist, blocking calls from more than 800,000 known robo-callers and telemarketers. To activate this new blacklist for your account, head to my.ooma.com. Not currently a Premier subscriber but loving the idea of keeping pesky telemarketers from reaching you? You can easily upgrade your account to Premier for $9.99 per month on my.ooma.com to get blacklisting and more than 25 additional advanced features (voicemail-to-email forwarding and Instant Second Line are some other favorites). I am already an Ooma Premier subscriber. I tried to activate the extended blacklist function, It does not work. I called tech support and they told me they are aware of the problem and working on it. In the mean time, I am unable to add additional whole area codes or area-code-exchange codes to my blacklist, and deletions I make to the blacllist are not being saved, so service is getting worse, not better. Also, . If this still doesn’t work- please call a customer support representative to jump into your account. Number is: Call 866.452.6662. Monday-Friday 5am-5pm PST, Saturday-Sunday 8am-5pm PST. 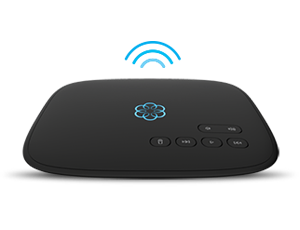 I feel like I’m getting more telemarketing calls since becoming an Ooma customer. Maybe it’s just the caller id and voicemail that allows me to be more aware of them. Either way, Ooma could create a tremendous amount of goodwill by blocking known Robocalls to regular customers. I can see personal blacklisting as a Premier feature. You shouldn’t be receiving more telemarketing calls since becoming a customer. As a Premier customer you can block unwanted callers; Personal Blacklist, Community Blacklist and Expanded Blacklist features. If you need help setting these up- please call our customer support number at 866.452.6662. Monday-Friday 5am-5pm PST, Saturday-Sunday 8am-5pm PST. I applaud Ooma’s adding the expanded blacklist! It has almost eliminated these annoying calls. 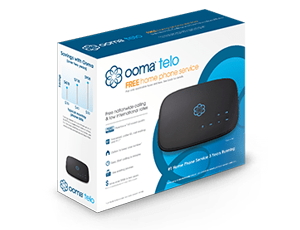 After switching to Ooma Telo and signing up for community and expanded blacklists, my telemarketing calls have completed ceased. It’s amazing! Now I actually answer my home phone instead of rolling it over to voicemail to avoid answering spam calls.